Congratulations to past pupil Vivian Vong who has graduated with a first class honours in Graphic Design. 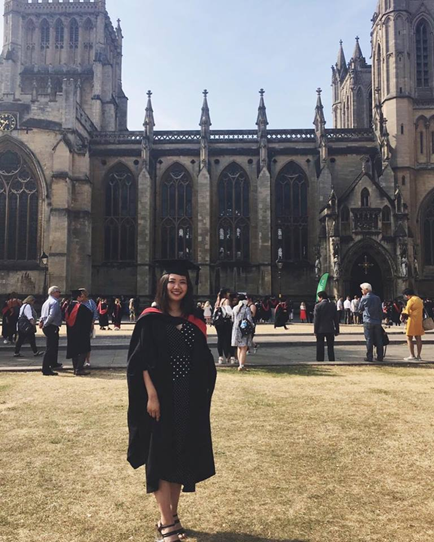 Vivian who attended Bridge Integrated primary school before commencing New-Bridge in 2007 has commenced her career as a graphic designer in an advertising agency in Bristol. Vivian wrote ‘I was thinking of New-Bridge and I’m sure you’ll be glad to hear that I’ve continued with art and design. I couldn’t have done it without New-Bridge and the art department- thank you!